1/4 lb. 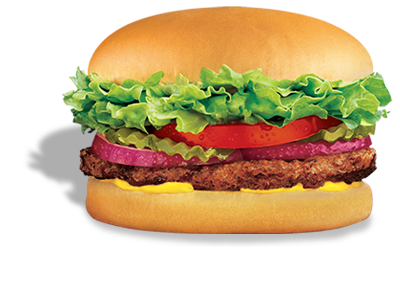 grilled beef patty topped with crisp lettuce, ripe tomatoes, purple onions, pickles and yellow mustard. Two 1/4 lb. 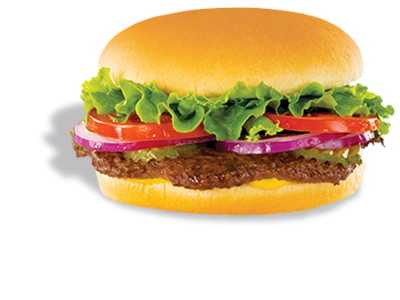 grilled beef patties topped with crisp lettuce, ripe tomatoes, purple onions, tangy pickles and bold yellow mustard. Three 1/4 lb. 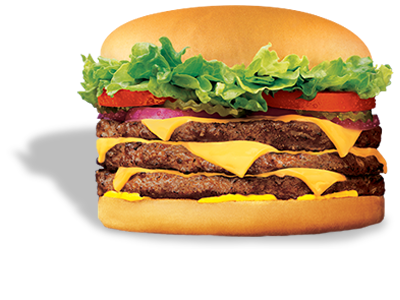 grilled beef patties topped with crisp lettuce, ripe tomatoes, purple onions, tangy pickles and bold yellow mustard and 3 slices of cheese. 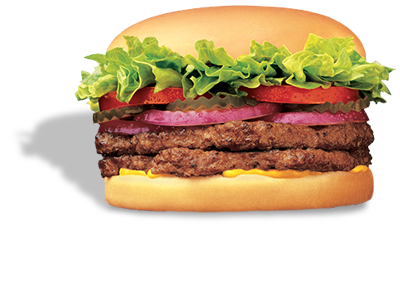 Grilled all beef patty topped with crisp lettuce, ripe tomatoes, purple onions, tangy pickles and bold yellow mustard. 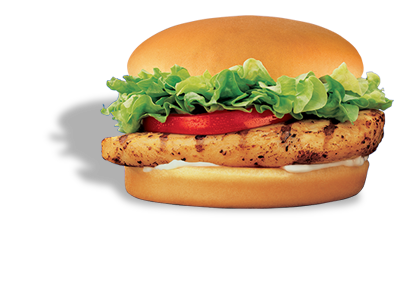 A generous portion of grilled chicken breast served on a crisp blend of romaine and iceberg lettuce. 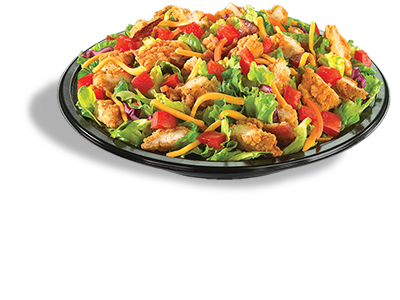 Topped with diced tomatoes, cheddar cheese, and hickory sliced bacon. 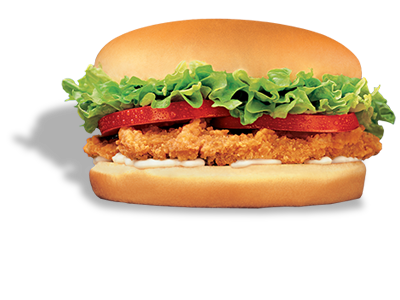 Our signature chicken strips, diced and placed on a crisp blend of romaine and iceberg lettuce. 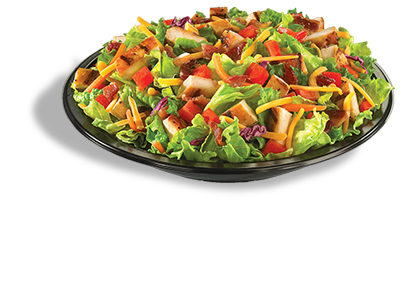 Topped with diced tomatoes, cheddar cheese, and hickory sliced bacon. 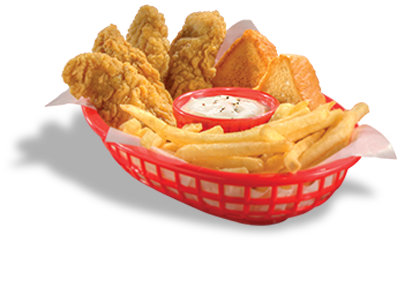 DQ®s crunchy, golden Chick’n Strip Country Basket® is served with crispy fries, Texas toast and our cream gravy. 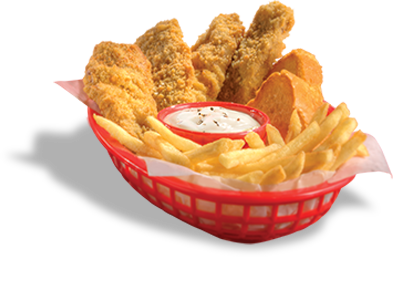 DQ®s crunchy, golden Steak Finger Country Basket® is served with crispy fries, Texas toast and the best cream gravy anywhere. 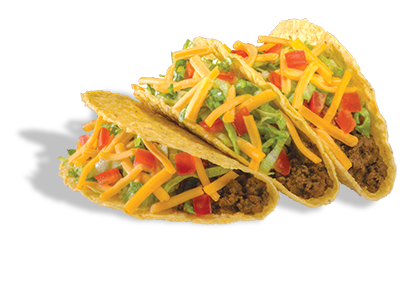 Three tacos packed with beef, shredded cheese, crisp lettuce and ripe tomatoes, and served with DQ®picante sauce on the side. 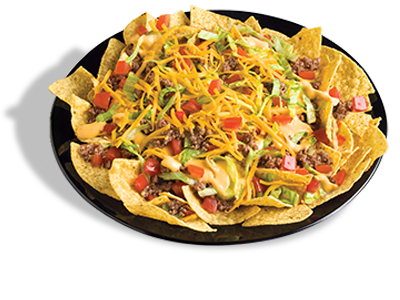 Large platter of crisp fresh tortilla chips covered with seasoned beef, refried beans, nacho cheese sauce, crisp lettuce, diced ripe tomatoes, and cheddar cheese, and served with DQ® picante sauce on the side. 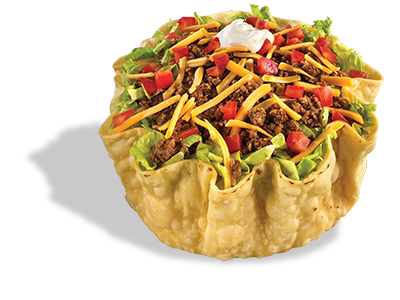 Crispy tortilla bowl filled with seasoned beef, refried beans, shredded cheddar cheese, crisp shredded lettuce, and diced ripe tomatoes, and topped with sour cream. 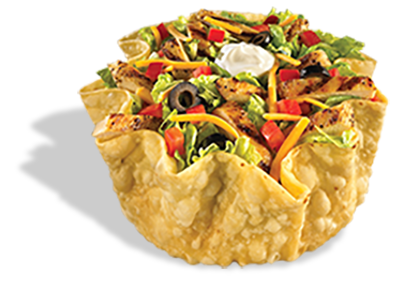 Crispy tortilla bowl filled with sliced grilled chicken breast, refried beans, shredded cheddar cheese, crisp shredded lettuce, and diced ripe tomatoes, and topped with sour cream. 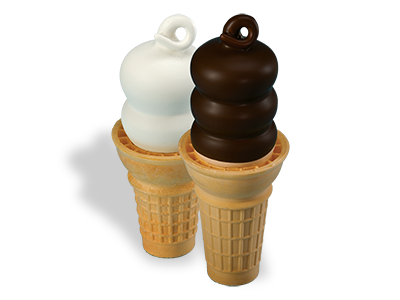 Our famous original cone, truly a classic! 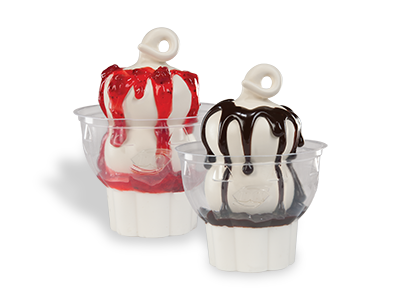 Also available dipped in a chocolate coating. 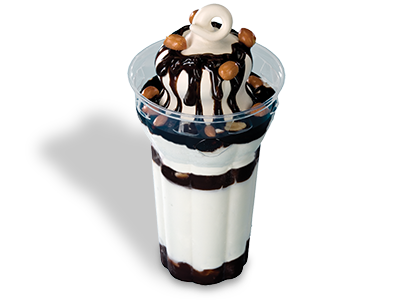 Layers of creamy DQ® soft serve, hot fudge and peanuts. 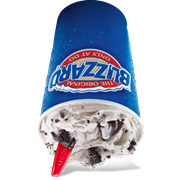 A true DQ® Original! 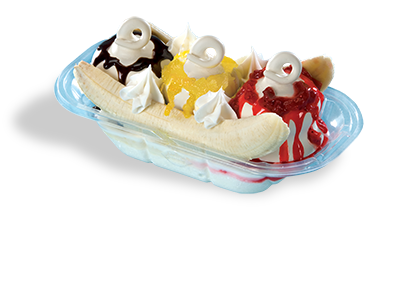 Creamy DQ® soft serve with a split banana, chocolate topping, pineapple topping, strawberry topping, and topped with whipped topping.